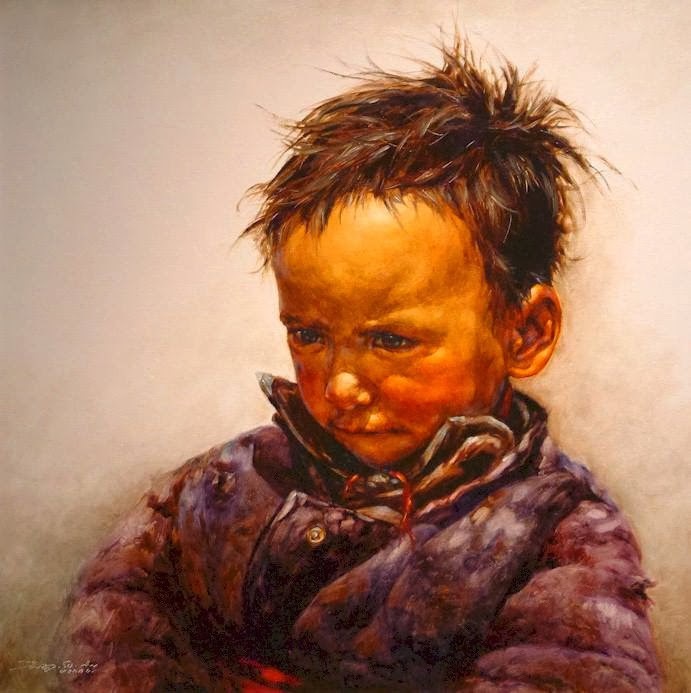 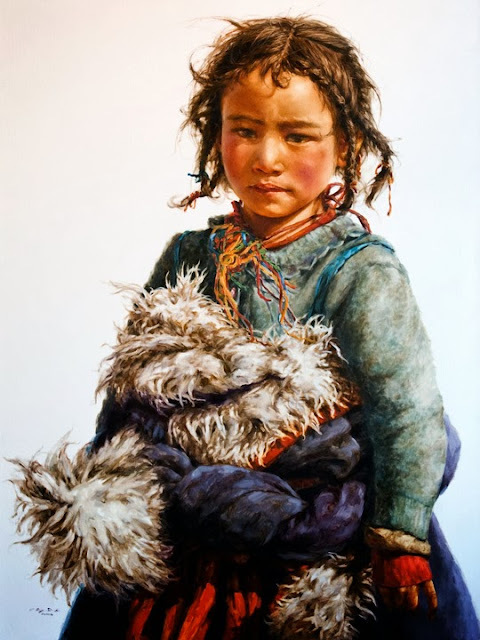 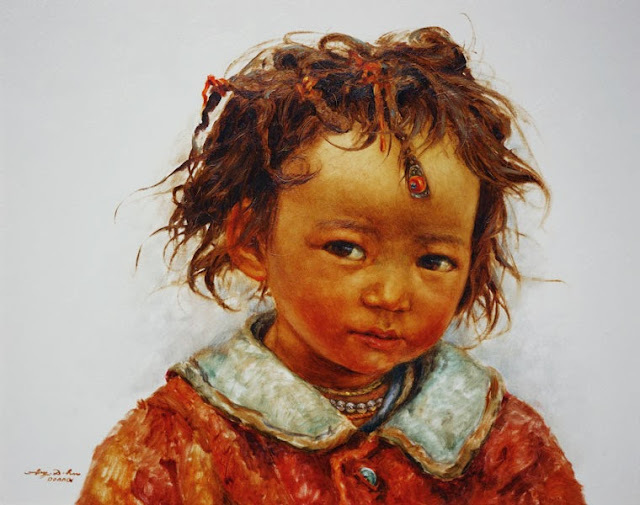 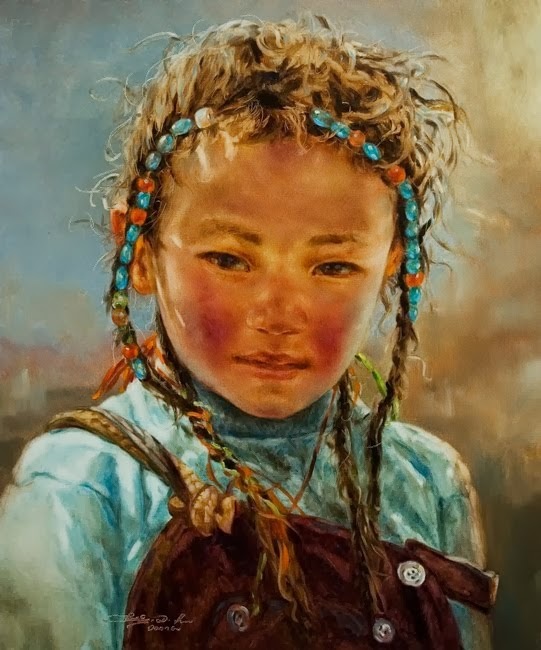 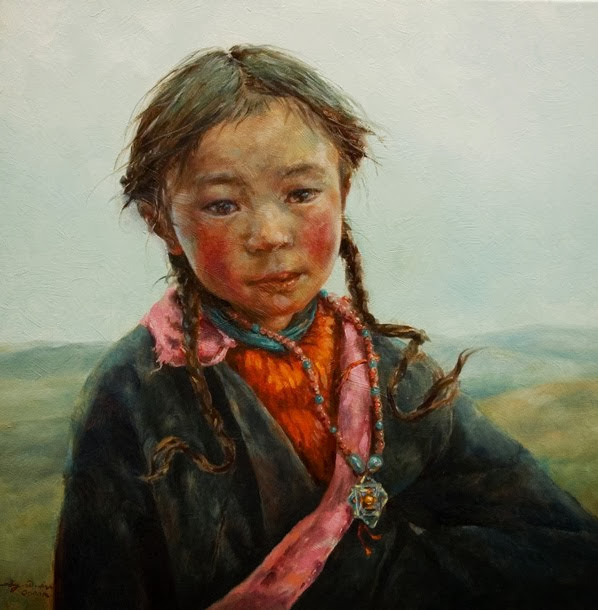 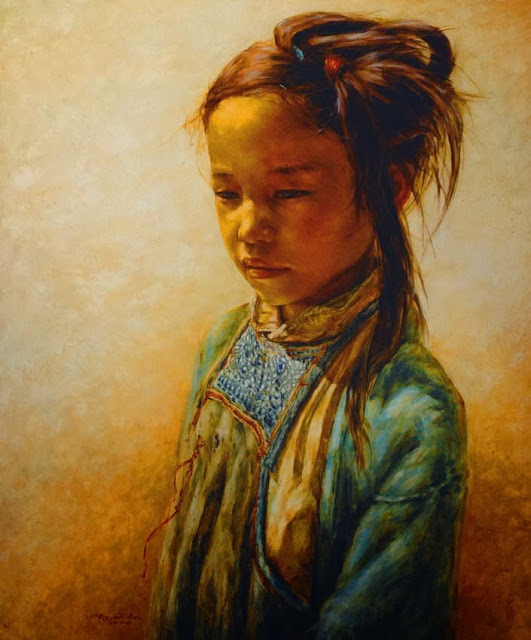 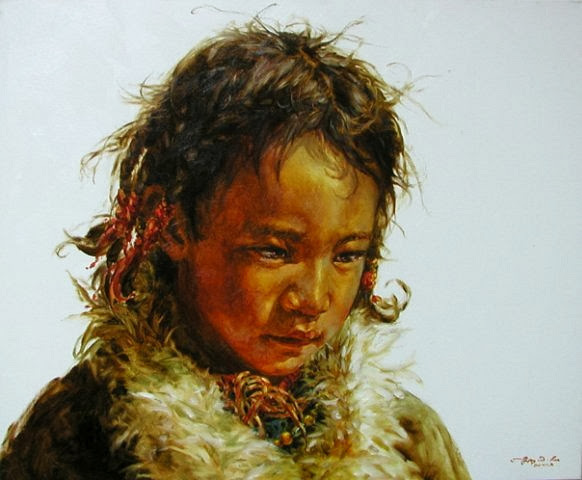 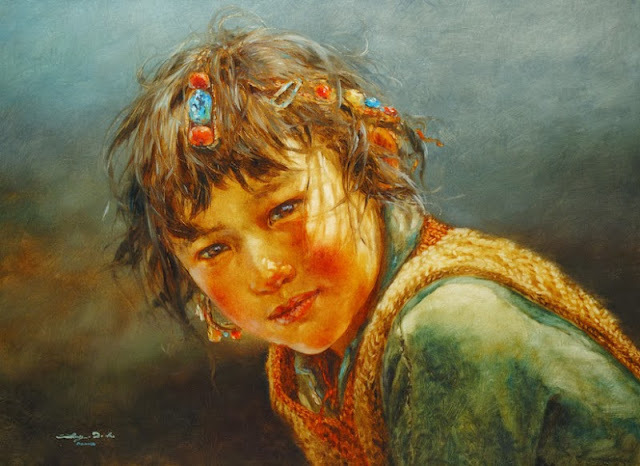 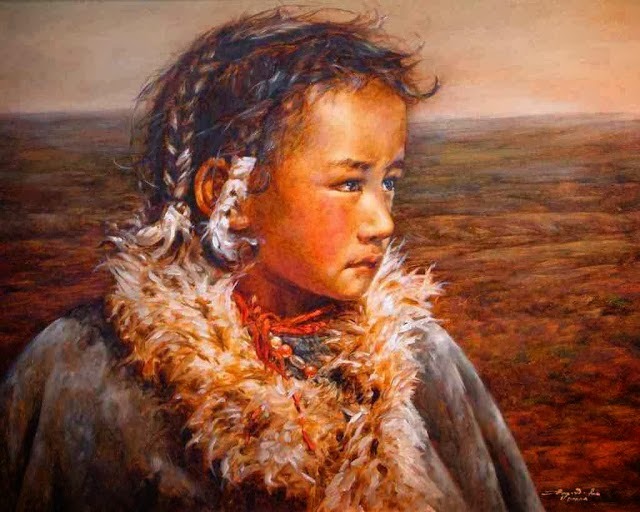 DONNA DONGHONG ZHANG was born in the Jilin Province of China in 1958. She enjoyed art from an early age, recalling that as a child she would playfully give expression to her friends’ wishes for new shoes or toys by sketching them on paper. 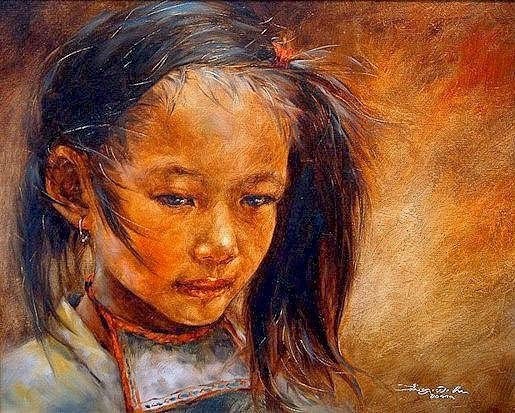 She later went on to study art for about 13 years, achieving mastery in the techniques of etching. 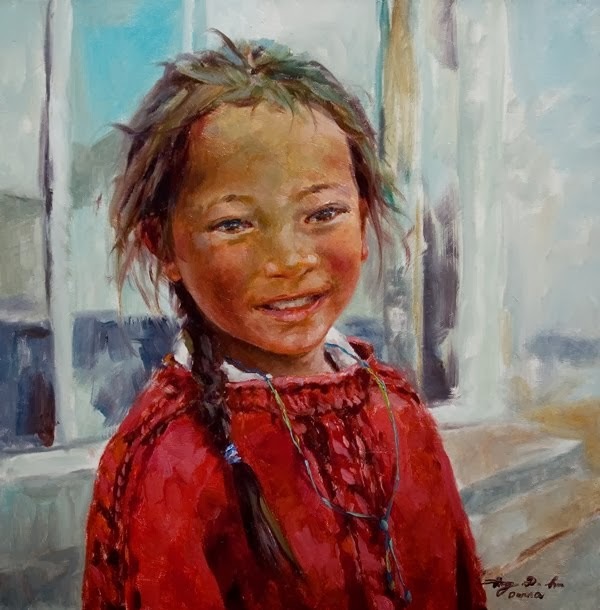 Donna is formally trained as an art educator, first at an institute in China in the 1980s, and during the l990s at Japan’s Saitama University where she obtained a Master’s Degree of Arts. 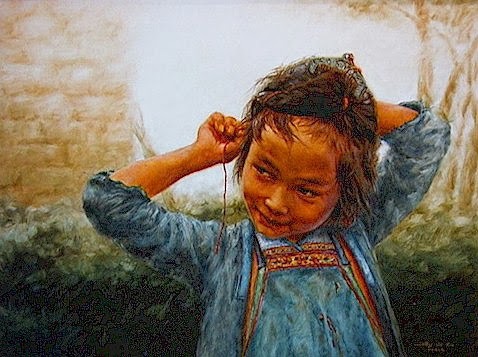 The year 1999 was pivotal for Donna. 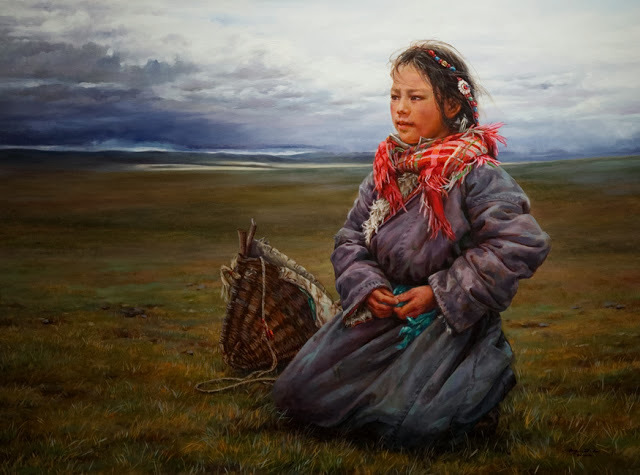 She accompanied a small group to a remote region of Tibet on an ecological trip whose goal was to preserve the habitat of an endangered monkey. 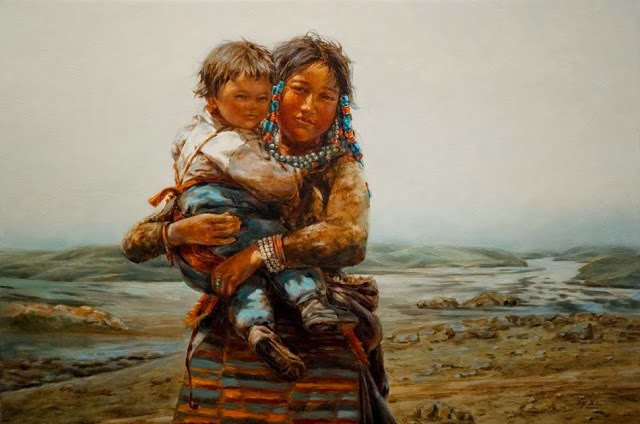 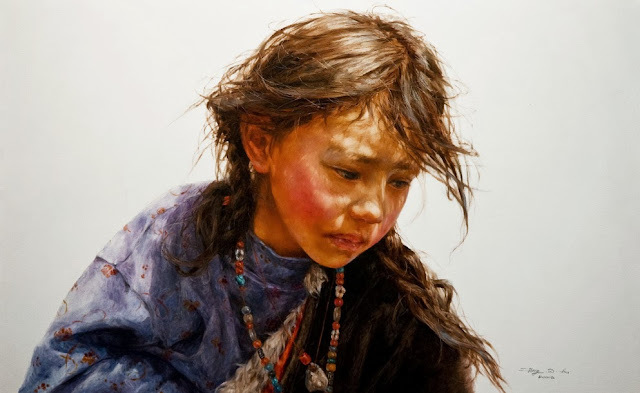 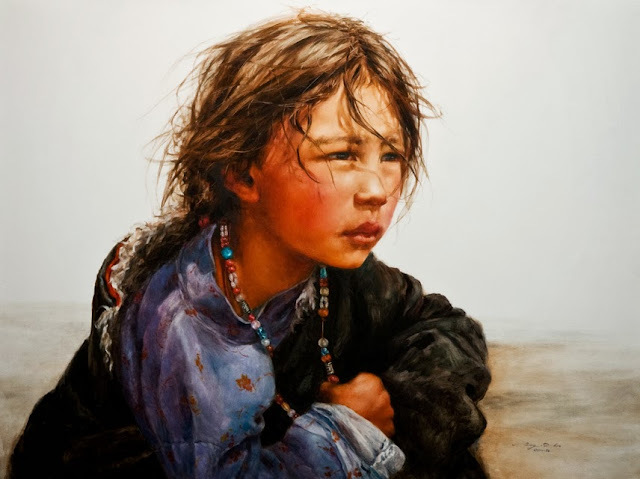 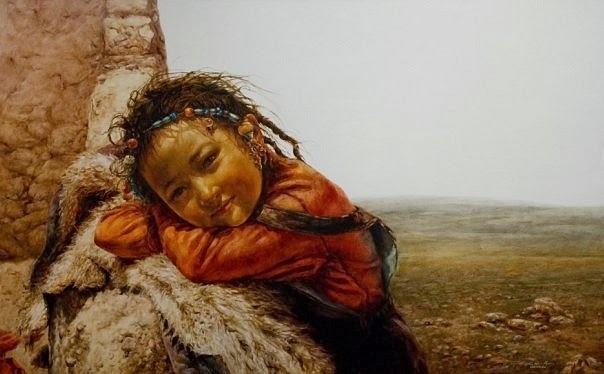 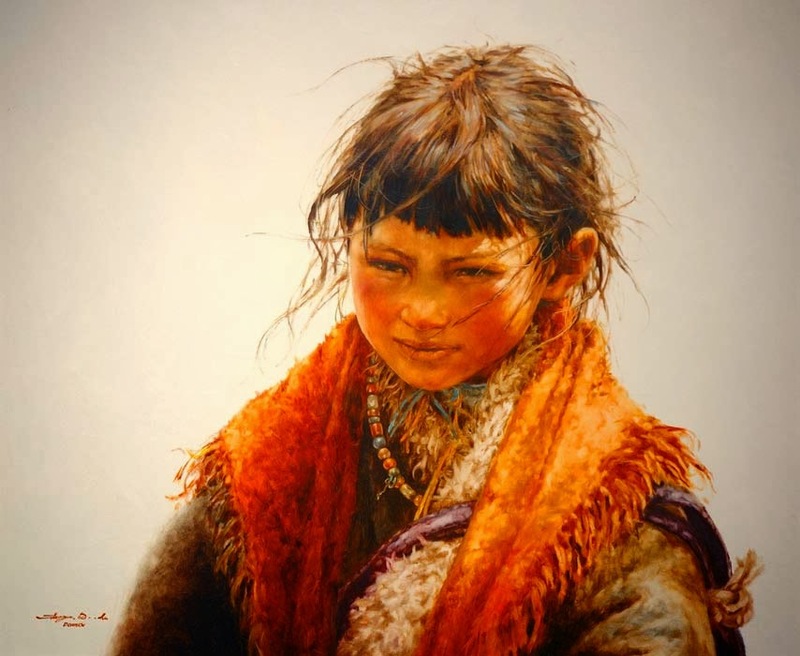 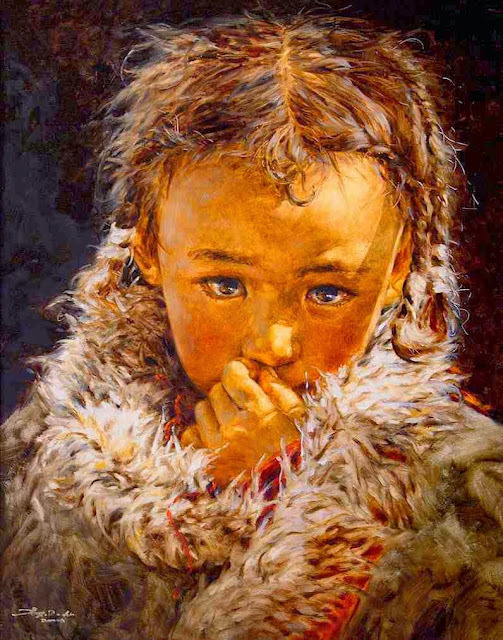 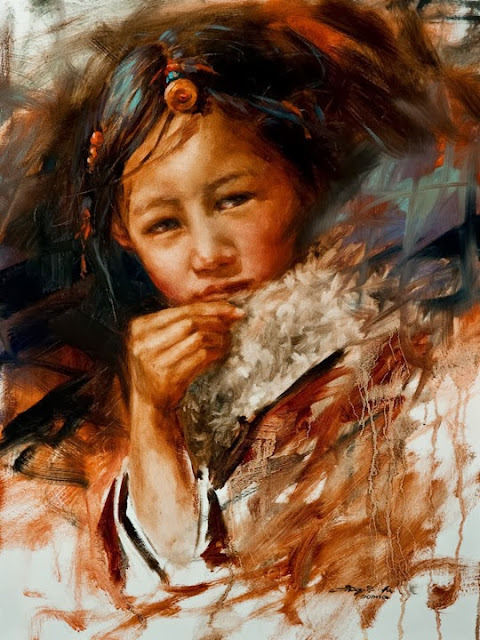 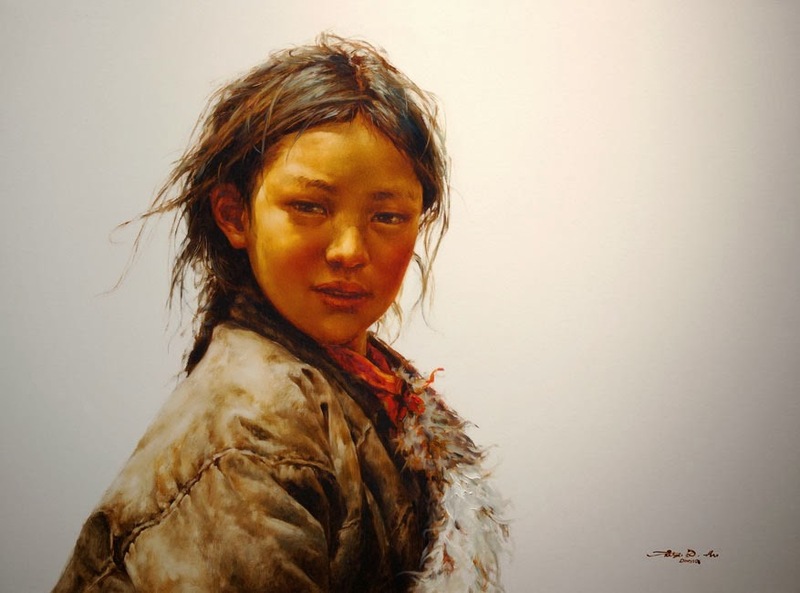 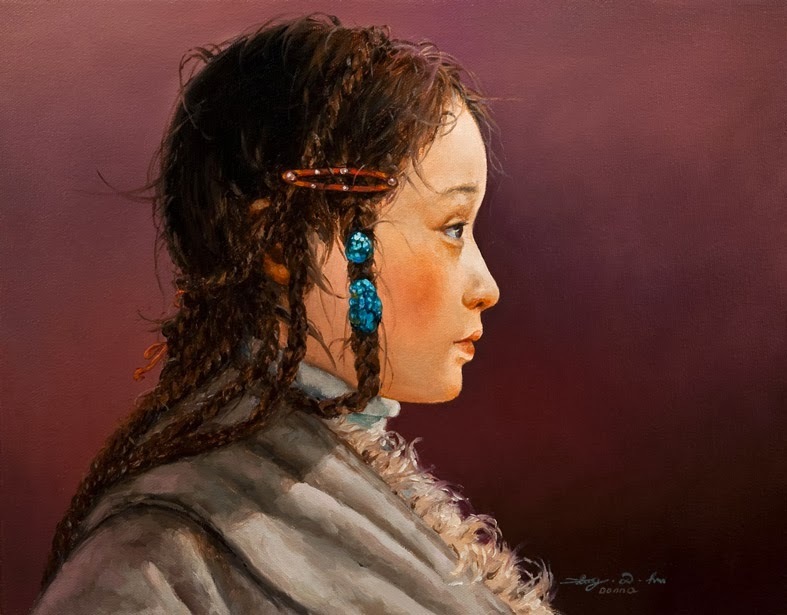 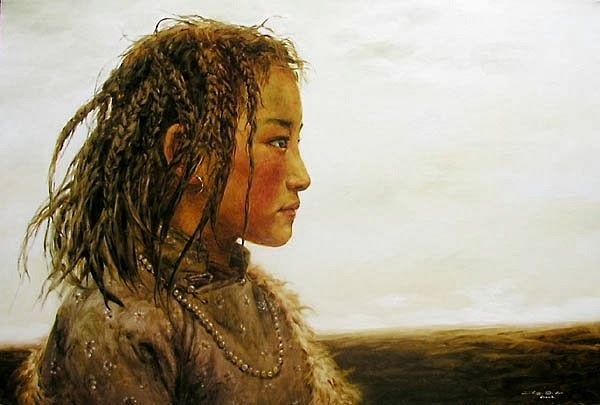 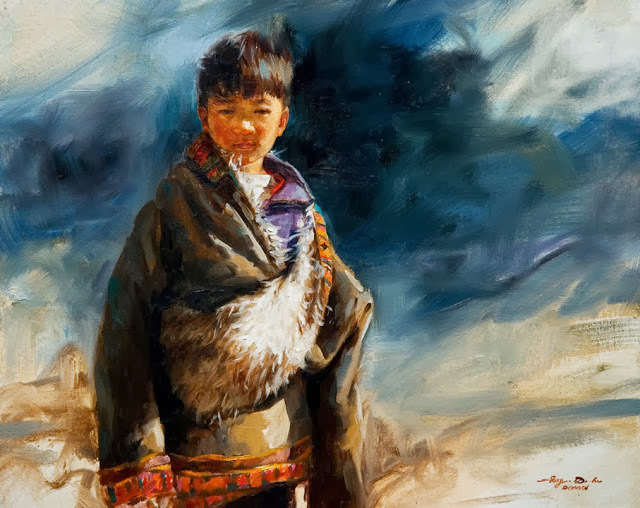 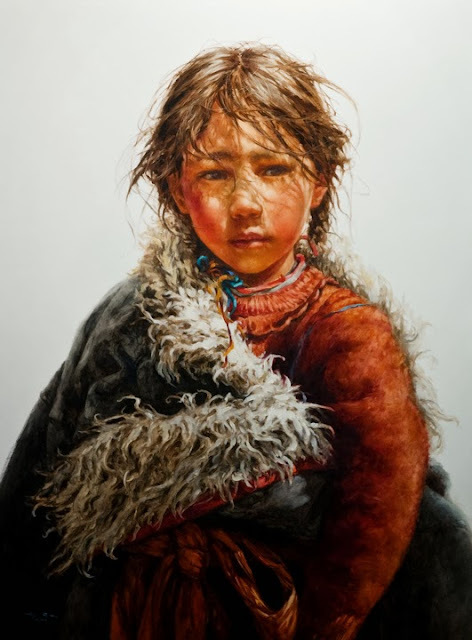 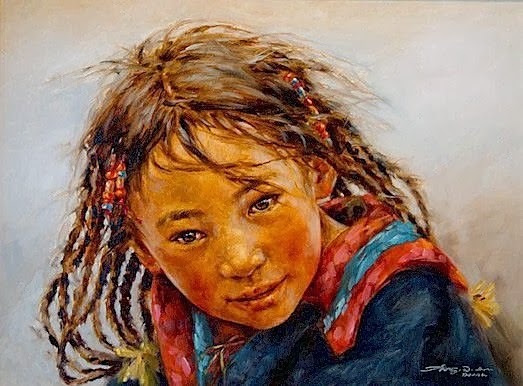 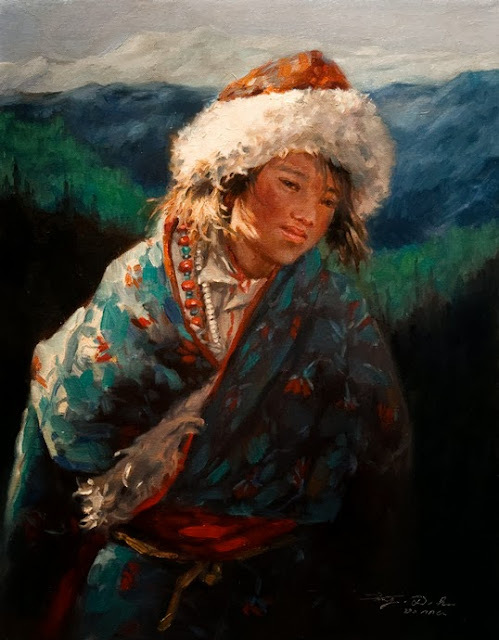 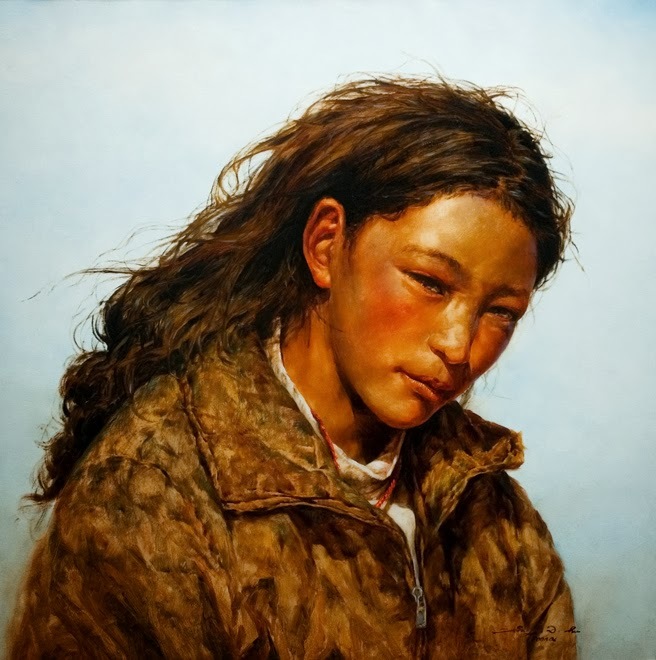 Once within Tibet, she came into close contact with its indigenous peoples and was immediately struck by their strength, dignity and openness. 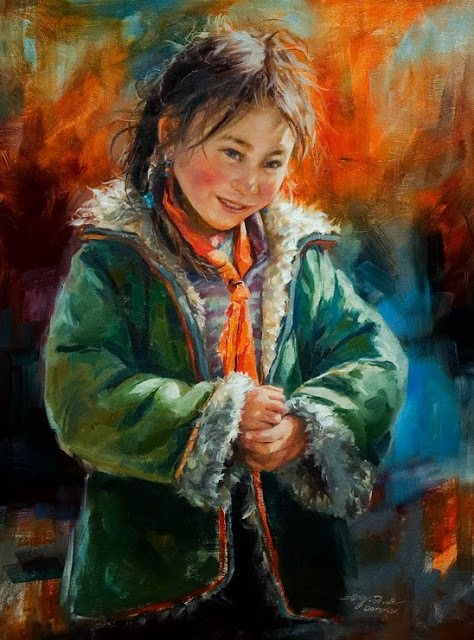 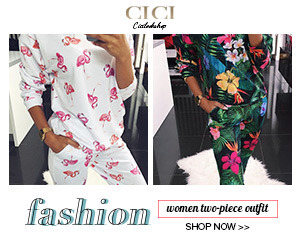 She was deeply moved by the immediacy and warmth of the experience, which stood in marked contrast to the reservedness which typifies many urban cultures. 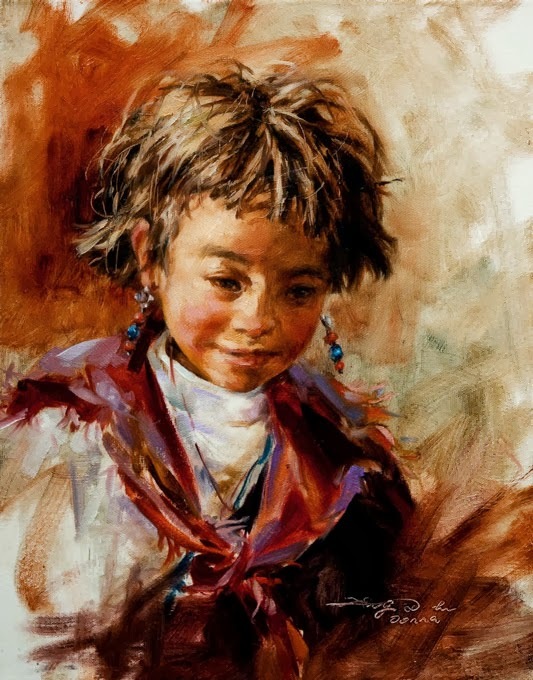 The 1999 trip and two further trips in 2001 and 2002 were the inspiration for Donna’s current work in portraiture, which reflects better than words ever could the profound beauty and resilience she sees in the faces of her subjects. 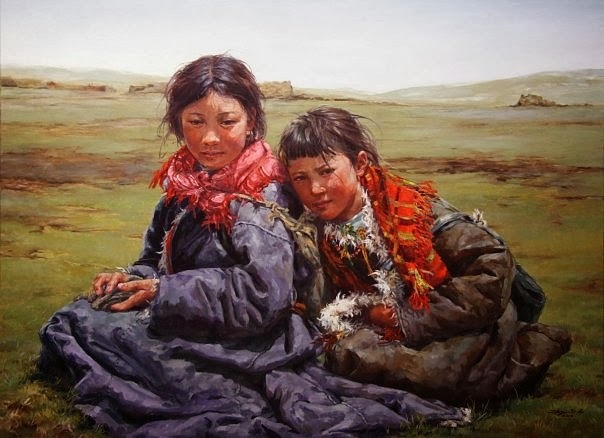 As Donna says simply, "Their clothes are not clean, but their hearts are pure."